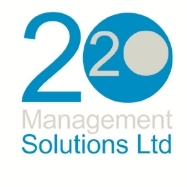 2020 Management Solutions provides Programme and Project Management, Planning and Controls services to High Tech Industries. We have extensive experience within Pharmaceuticals, Biopharmaceuticals, Radiopharmaceuticals, Nuclear, Research and Development, Fine Chemicals and Petrochemical environments. Our expertise in strategy, design, construction and M&E services also allows us to provide consultancy and project assurance services across a wide range of industries. Occasionally we recover a project in crisis.